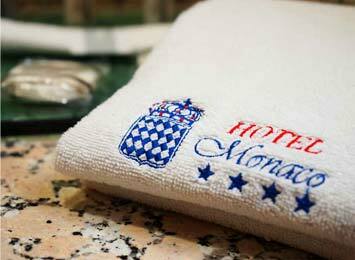 Enjoy the luxury and comfort that you deserve by staying in Hotel Monaco in Mexico City. We feature 100 four-star rooms, classified as Standard, Master Suite and Suite with Jacuzzi. Choose the room of your choice and book online through this website for you to get our best online rate. This is a comfortable room equipped with 1 queen size bed, 1 king size bed or 2 single beds, to sleep 2 adults (no minors). Furthermore, enjoy amenities such as safe, laundry service and wake-up calls. The Master Suites in Hotel Monaco are classy, well outfitted options with 2 queen size beds to lodge up to 2 adults and 2 minors. In addition to a convenient service list, our Master Suites offer hair dryer, safe, laundry service, wake-up calls, air conditioning and heater. Experience luxury and comfort while staying in our Suite with Jacuzzi. Featuring 1 king size bed to sleep 2 adults (no minors). The amenities that we point out without a question are Jacuzzi with hydro massage system, safe, laundry service and wake-up calls.